Extensive hands-on experience collaboratively defining and executing Knowledge Management strategies, global programs and individual projects. Focusing on creating benefit for your business strategy, measurable and sustainable. Providing content, information and knowledge management services to making your organization even more successful. Across different industries with companies like PepsiCo, AIG, YMCA and global engineering organizations. Collaboratively working with your stakeholders and key knowledge holders to assess and define the best approach for your organization. We continue to help you grow the established benefits, scale and scope for growth and new market conditions, and partner with you for long-term success. Are you loosing valuable business knowledge ? How does virtual classroom training work ? You have excellent knowledge in your organization. Why mentoring ? How do COP's provide value ? How can Collaboration advance my business ? Loosing key knowledge holders in your organization can have a dramatic business impact. We can support the long-term sustainability of your business through processes and tools that ensure knowledge transfer and assimilation. One size DOES NOT FIT ALL when it comes to managing your organizational knowledge. The right combination of tools, processes and responsibilities will embed Knowledge Management sustainably into your organization. Whether locally, nationally or globally, our proven program- and project management capabilities will ensure a successful implementation of all required components of your Knowledge Strategy. Whether you start with a proof-of-concept implementation or a world-wide roll-out, we are ready to deliver. As your business change and gtows, the market situation changes or other aspects come into play that impact your business - we are with you to monitor, adapt or grow your knowledge solution as necessary. What qualifies InsightKnowledge Inc. ? Implementing tools, processes and other organizational changes, requires a strong and reliable skillset. This includes excellent program- and project management, a variety of softskills (change management, stakeholder management) and the ability to adapt to changing requirement situations. InsightKnowledge has over 20 years of experience executing medium to large programs and projects in large, mostly international organizations, as well as a strong network of partners and vendors. References can be provided upon request. It's not the technology only that makes the difference. Executive and employee buy-in, effective change management, strong communication and training, are all aspects that make the important difference. Training is an important aspect of any Knowledge Management strategy. As part of change management, InsightKnowledge can deliver virtual classroom training from the convenience of their desks or homes. Engaging, highly interactive and result-oriented, this delivers the results needed. There are many benefits to mentoring. Managing Knowledge effevtively is a skill similar to proejct management. It takes learning, practice and guidance to excel in. Our Mentoring program is a flexible mentoring and coaching agreement, that allows employees with Knowledge Management responsibilities to receive the help and guidance the need, when they need it. Training prepares you for the task, mentoring and coaching is the support one may need to bring your hands-on skills and capabilties to the next level. Often learning is needed when it is needed. Independent of time and place. Besides our excellent virtual classroom training, we can also provide custom truly mobile training solutions. InsightKnowledge can create custom mobile training for you. Using a responsive web-based platform, the training modules created are truly mobile and can be taken anywhere, anytime. 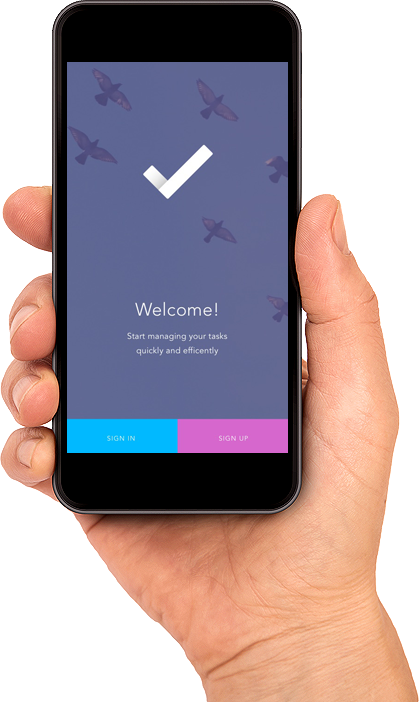 The responsive web-based platform operated by InsightKnowledge is flexible enough to work on any computer, tablet and mobile smartphone with a touch display (IPhone, Android). Training modules can also be downloaded for offline usage. Training modules are created easily and quickly. While InsightKnowledge provices the platform, you can utilize your own resources, or even implement the solution in your organization. Flexible, cost-effective licensing solutions can be provided. InsightKnowledge can host the mobile training platform for you and can scale it to your needs. Communities of Practice are one of the most effecitve ways to utilize the collective power of a dedicated network of experts to solve challenging business problems. They also are used for knowledge retention and transfer, as well as for knowledge capture. Following a structure community engagement model, COP's allow a group of experts to review and resolve complex business issues. InsightKnowledge has proven experience establishing and operating key communities. An ongoing community of experts allows for knowledge transfer, capture and assimilation with other participating employees, specially new hires. People know how to collaborate on small scale. Meetings, focus groups, etc. are known ways to work together. How about on a national or global basis ? Bridging cultures, languages and timezones ? Yammer is a well established collaboration solution from MIcrosoft. InsightKnowledge has proven experience setting up and administrating global Yammer networks, internally to the organization or externally enabled to collaborate securely with business partners and clients. InsightKnowledge also achieved Onlnie Community Management certification. A skill that allows us to run or support your collaboration networks and drive their objectives to success. Managing a global content structure has its own set of unique and complex challenges. InsightKnowledge has established and operated large-scale, global content solutions, embracing millions of content items and covering over 200 countries and jurisdictions around the world. Global content solutions are highly complex. Ensuring information compliance, security, safety are important aspects. Allowing distributed authoring or editing rights adds to the complexity. InsightKnowledge has established, operated and grown global content networks for fortune 100 companies. Operating a global content network requires a dedicated team. InsightKnowledge has the capability to host a centralized off-shore team for content capture, maintenance, analytics and quality control. Based in Chicago, IL, USA. Avaialble globally.